While stripping and repairing the mass-o-migs I have, I found this. The pitting was caused by the nuts being loose on the stud. The nuts were holding the lug supplying current to the mig gun. 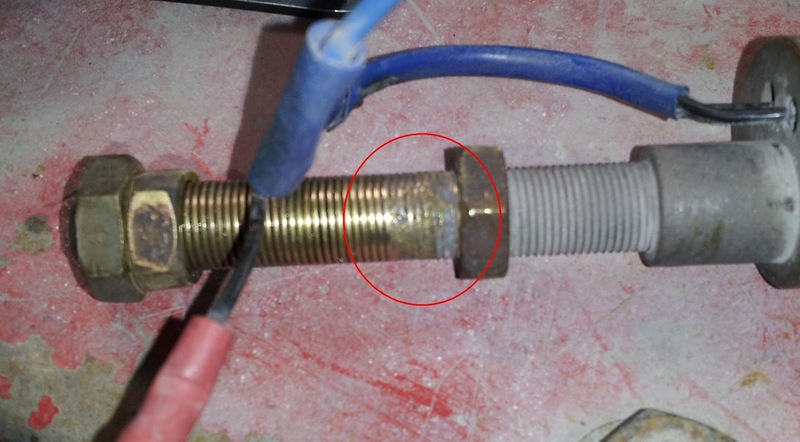 A bad joint here has caused arcing and damage to the threads. I have been sanding all contacts smooth and tightening them to effing tight. These connections are usually in a location that the user can get to and check. A little care and they will last a lot longer. I can't help but wonder if this was part of the reason these welders were offloaded in the first place. Just a shorty for the watchers.